Download 30-Day Free Trial Scan invoices and receipts directly into QuickBooks Online and Xero. How much time do you spend scanning paper invoices? Watch the video below to see how Scan2Invoice streamlines the process of scanning invoices and receipts. Scan2Invoice creates pdf files, extracts key accounting data and uploads the invoice document to your cloud accounting software. Scan2Invoice is the scan button for your cloud accounting software. Simply scan, extract data and upload your invoice in one go. Download and start your 30-day free trial now! Press the scan button in Scan2Invoice. The program will scan your invoice, convert the scanned image into a pdf file and display the new file. Automatically extract and review key invoice data. It’s quick and easy because the data fields are located right next to the pdf viewer. Press the upload button. 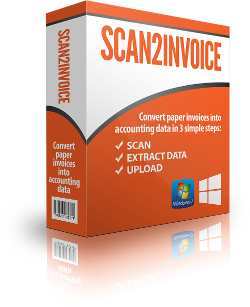 Scan2Invoice will create an invoice with the data you entered and upload the scanned pdf document into your cloud accounting software. Intuit QuickBooks Online is an easy-to-use, feature-rich online version of America’s most popular accounting software for small businesses. It helps small businesses save time organizing their financial data in one place – anytime, anywhere – with no accounting knowledge necessary. Users can access their data on any internet-connected computer via popular web browsers. Scan2Invoice is an add-on which lets you scan invoices directly into QuickBooks Online. Xero is easy to use online accounting software that’s designed specifically for small businesses. Xero is now one of the fastest growing Software as a Service companies globally. Xero leads the New Zealand, Australian, and United Kingdom cloud accounting markets, employing a world-class team of more than 1,400 people in 20 offices worldwide. Their beautiful cloud-based accounting software connects people with the right numbers anytime, anywhere, on any device. Scan2Invoice is an add-on which lets you scan invoices directly into Xero. Scan2Invoice is the scan button for your cloud accounting software. MYOB Group Ltd is a leading cloud based business management solutions provider. 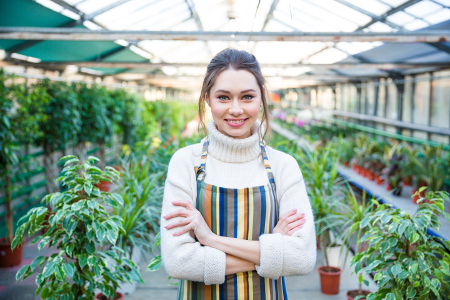 It makes business life easier for approximately 1.2 million businesses across Australia and New Zealand by simplifying accounting, payroll, tax, practice management, CRM, job costing, inventory and more. MYOB provides ongoing support via many client service channels including a network of over 40,000 accountants, bookkeepers and other consultants. It is committed to ongoing innovation, particularly in cloud computing solutions, and in 2015 was awarded the BRW award for the most innovative large company for 500+ employees and placed 2nd in BRW’s Most Innovative Companies Award list across all categories nationally. Scan2Invoice is an add-on which lets you scan invoices directly into MYOB. Sage’s vision is to be recognised as the most valuable supporter of small and medium sized companies by creating greater freedom for them to succeed. Sage provides small and medium sized organisations with a range of easy-to-use business management software and services – from accounting and payroll, to enterprise resource planning, customer relationship management and payments. Sage’s customers receive continuous advice and support through our global network of local experts to help them solve their business problems, giving them the confidence to achieve their business ambitions. Scan2Invoice is an add-on which lets you scan invoices directly into Sage One. Saasu is an online software company with customers in over 50 countries around the world. Operating since 2000, our product plays host to millions of transactions each year worth billions of dollars. Saasu’s online accounting software for managing business financials. Saasu has capabilities in sales, purchasing, inventory, payroll, e-commerce, documents and customer relationship management (CRM). Saasu’s robust Application Programming Interface (API) enables connection to hundreds of web applications, software products, payment services and banks. Scan2Invoice is an add-on which lets you scan invoices directly into Saasu. Zoho Books is a smart online accounting software that will streamline your back office operations, automate business workflows and help you securely collaborate with your accountant online. It is designed for all business sizes, from small businesses to large enterprises, and works well for services, consulting and marketing companies. With the latest inventory feature, retail businesses can keep track of their stock and make smart purchase decisions. Zoho Books allows you to invoice your clients in their currency and it’s also available in 11 languages. Scan2Invoice is an add-on which lets you scan invoices directly into Zoho Books. Watch a quick video showing how Scan2Invoice can speed up your paper invoice scanning process. Scan2Invoice is an easy to use scanning software that connects directly with your cloud accounting package. You can scan invoices and receipts with the click of a button. Alternatively, you can import pdf invoices from your hard drive. Scan2Invoice extracts key accounting data from your invoices. The scanned or imported file will be attached to the newly created bill in the cloud. Give Scan2Invoice a go for free. Download and start your 30-day free trial now! Download 30-Day Free Trial Scan invoices and receipts directly into your cloud accounting software.